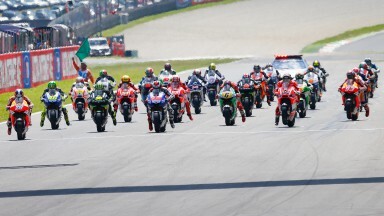 The Italian Grand Prix saw reigning MotoGP™ World Champion Jorge Lorenzo move up to second place in the standings, taking maximum points as rivals’ plans went up in smoke. The Yamaha Factory Racing rider now seeks the lead of the title race as the front-runners head to their home event at the Circuit de Catalunya. Until Mugello, Lorenzo had been yet to win since the season-opener in Qatar back at the start of April. His second victory of the campaign and third consecutive Tuscan success leaves him 12 points in arrears of championship leader Dani Pedrosa, whose Repsol Honda Team partner Marc Marquez is looking to make a strong comeback after no less than four crashes last time out – with the last having put him out of second position in the race and denied the 20-year-old the chance of becoming the first rookie in the history of the sport to seal five podiums at his first five races. With Lorenzo hailing from Palma de Mallorca but now living in Barcelona, Pedrosa having grown up in Sabadell and Marquez in the quiet Catalan town of Cervera, Barcelona marks a home weekend for the trio of men atop the riders’ standings. 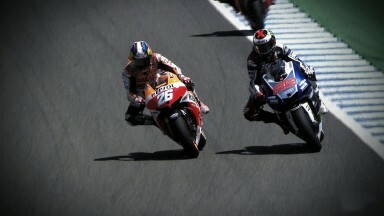 Even more of a reason, then, to push for race victory as Pedrosa did in 2008 and Lorenzo did in 2010 and 2012. The race will be Marquez’s first Montmelo encounter in the top class, but he did triumph at the popular venue in 125s three years ago. Behind the leading three, the points gap is diminishing. Two podiums from the last two races - making him the first Briton to collect successive rostrum placings in the top tier since Ron Haslam in 1987 - leave Monster Yamaha Tech 3’s Cal Crutchlow just six points in arrears of Marquez, whereas Ducati Team’s Andrea Dovizioso was on the front row at both Le Mans and Mugello and has demoted Yamaha Factory Racing’s Valentino Rossi to sixth overall. A repeat of the Italian’s stunning 2009 win in Barcelona would not go amiss after the disastrous first-lap crash in his home race. First-lap incidents are not unheard of in Catalunya either, with perhaps the most memorable being the dramatic incident that involved several riders at the start of the 2006 race. Avoiding such trouble this weekend will be paramount for the likes of Rossi, who in-turn is striving to up his qualifying pace in a bid to escape the so-called midfield ‘danger zone’. To date, the nine-time title winner has struggled to get to grips with the rapid-fire Q2 session and has qualified no better than fifth. Unable to qualify at all this weekend will be Ben Spies, as the Ignite Pramac Racing rider again stays on the sidelines in order to recover from his ongoing pectoral muscle and shoulder issues; as was the case in France, the American is substituted for by Michele Pirro. Crutchlow’s teammate Bradley Smith returns to action following physiotherapy, having sustained a very deep cut to a finger as well as a wrist injury at the last meeting, but having still ridden to an extremely courageous ninth position. Throughout the field, no less than six MotoGP™ riders will be contesting this race in their home country. That includes local man Aleix Espargaro, whose partisan and highly dedicated ‘Espargarins’ fan club are sure to be out in force along with their ‘Racing for a Dream’ song that was recorded at the circuit earlier this year. Brother Pol will continue to battle for honours in the Moto2™ category. Friday’s opening free practice for the Gran Premi Aperol de Catalunya begins at 9:55am local time (GMT +2). Weather conditions are set to be dry and bright. Capirossi: "Marquez is an amazing talent and can win title this year"